With its positioning focusing on a premium salon feeling, and with an accent on its co-creators expertise, the brand slowly lost contact with its consumers. 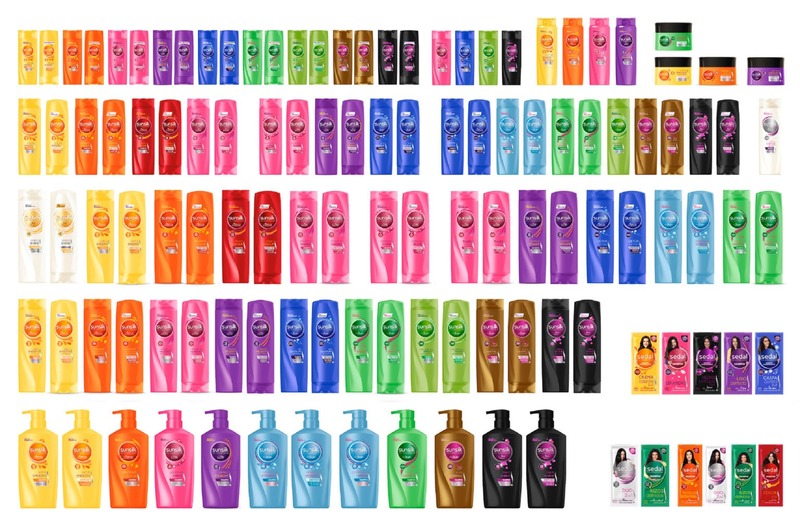 Sunsilk wanted to re-connect with its dynamic, young and optimistic target. The Unilever group then asked Crépuscule to re-think the whole design identity of the brand, looking for the right balance between feminity, fun and the brand DNA of expertise. A logotype using on each variant a unique color, with a big personality. Beyond the new branding and packaging identity, Crépuscule also managed the full relaunch: more than 800 artworks developed for the 15 formats and the full variant portfolio, on shelves in 70 countries (5 regions). The challenge here was the integration of a talent visual demonstrating the hair benefit on small formats. Every country finds its best solution! Distributed in Asia, Latin America, Europe and in Middle-East countries.